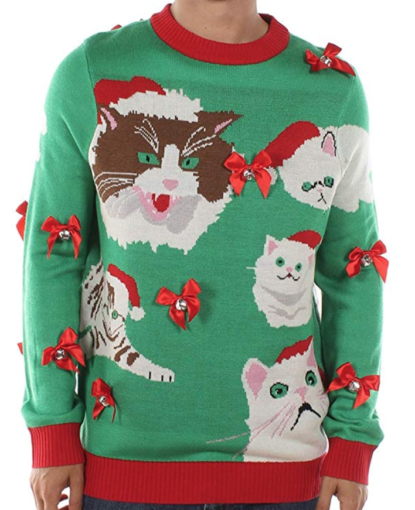 For better or worse, ugly Christmas sweaters are now firmly embedded in our culture. 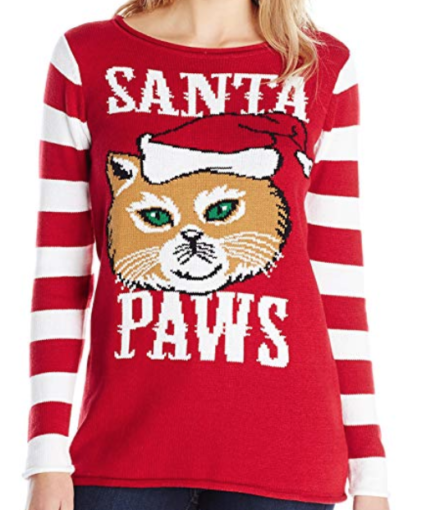 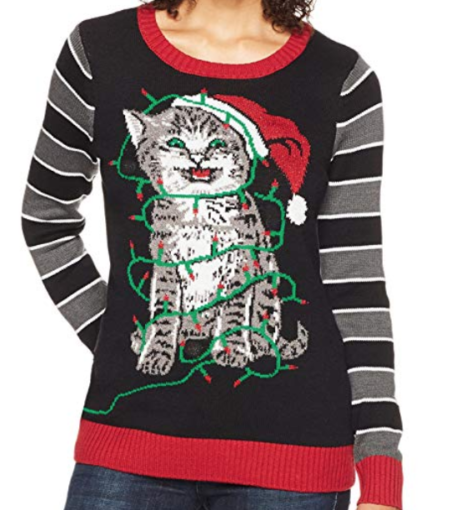 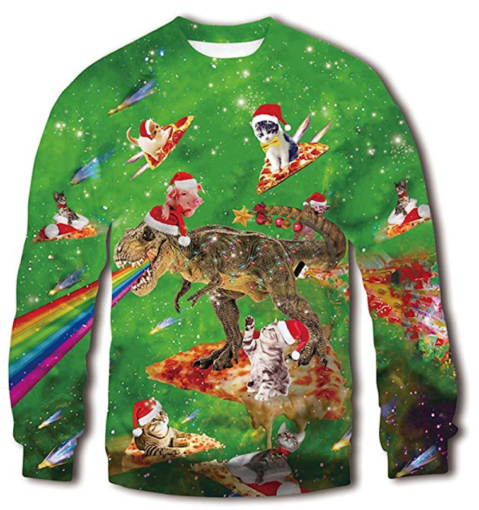 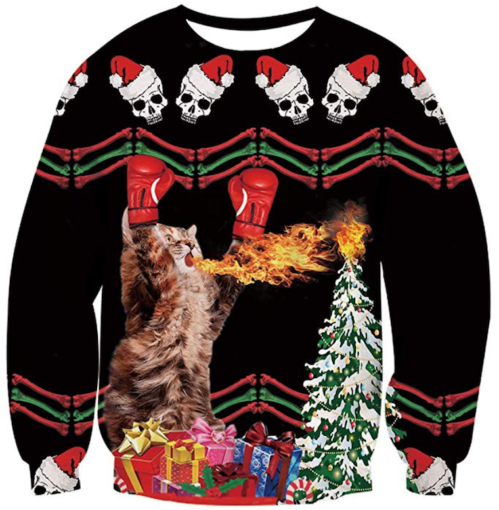 Here at Litter-Robot, we’re doing our part to bolster an important niche in the category: the cat Christmas sweater. 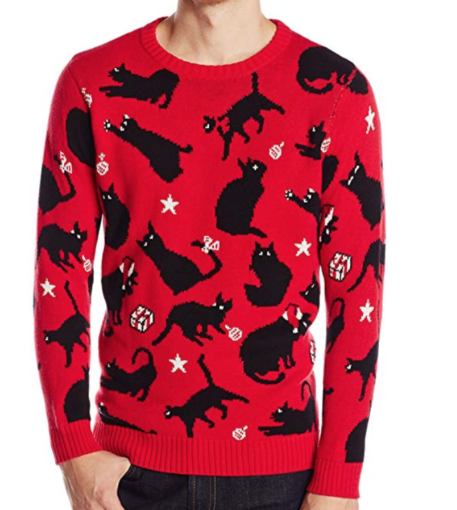 This interesting mashup of cheesy design and cat lady kitsch is appealing to feline lovers and haters (sadly, they do exist) alike. 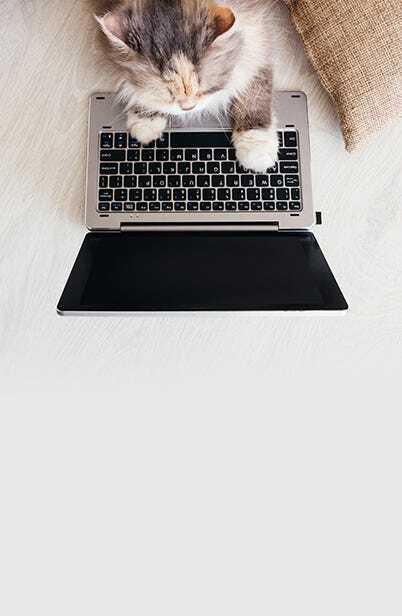 Let’s take a look at some of our favorites below! 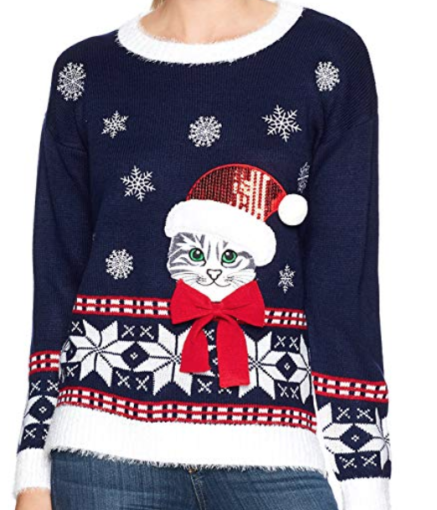 Have you ever wondered how the ugly Christmas sweater trend emerged? 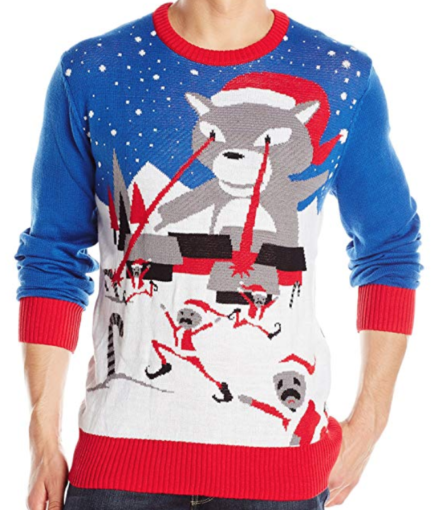 The commercialization of Christmas exploded in the 1950s, bringing with it holiday-themed sweaters. 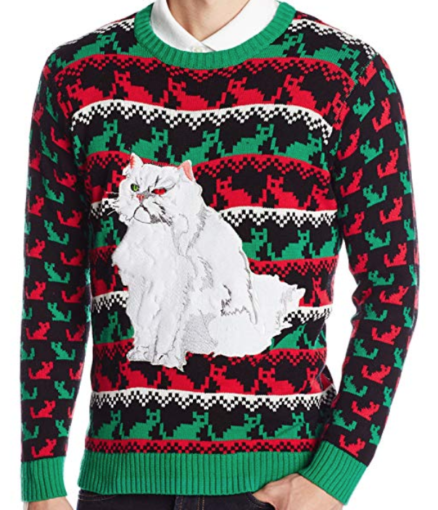 Complex reports that these were initially referred to as “Jingle Bell Sweaters.” The clothing category hit another high in the 1980s with portrayals on TV, notably the Huxtables and Clark Griswold in National Lampoon’s Christmas Vacation. 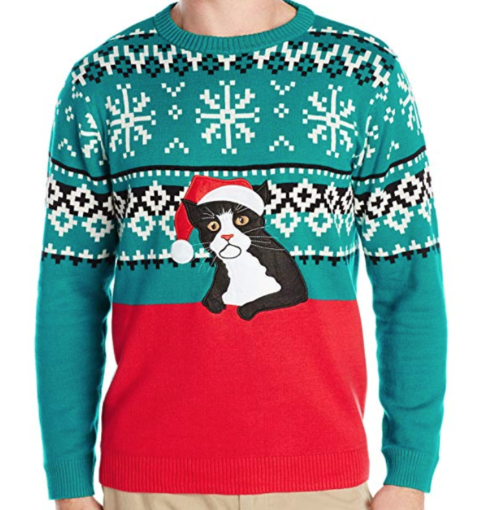 In 2001, the first-ever ugly Christmas sweater party was held in Vancouver, British Columbia. 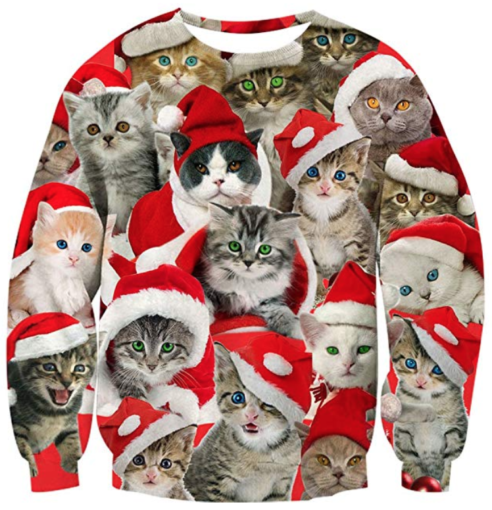 The organizers of the party simply wanted “a cheesy, feel-good, festive party, and the sweaters were a main ingredient of that.” The trend began to spread across Canada and into the U.S., eventually amassing fans all around the world. 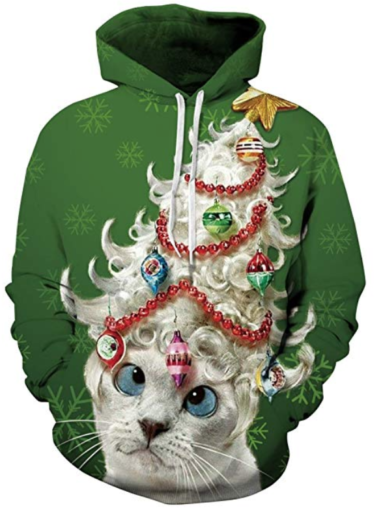 Today, ugly Christmas apparel is a major industry in and of itself. 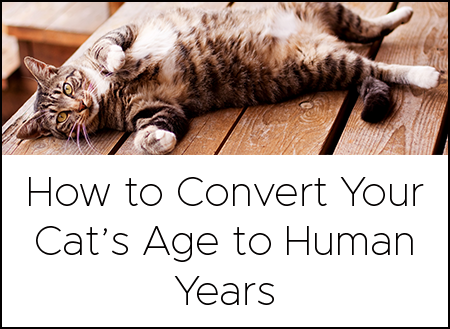 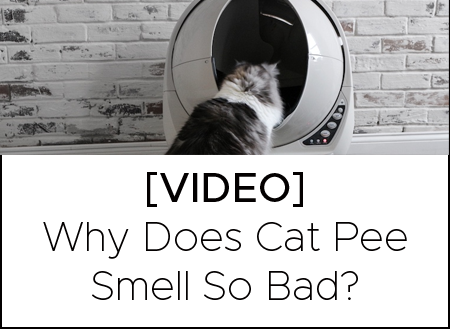 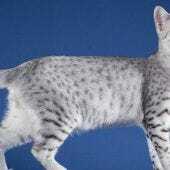 Naturally, cats sneaked into the mix—thus our using the term “ugly” loosely. 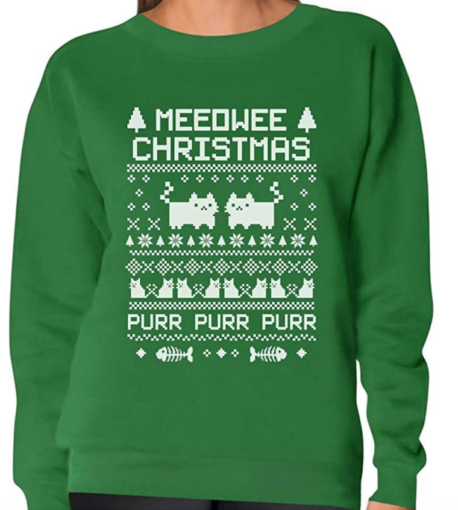 Interested in other Christmas apparel and cat-themed gifts? 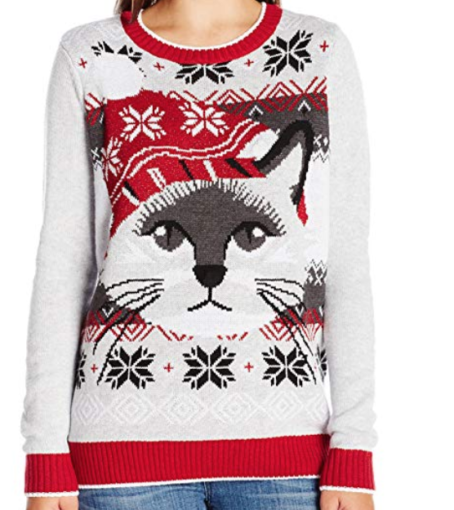 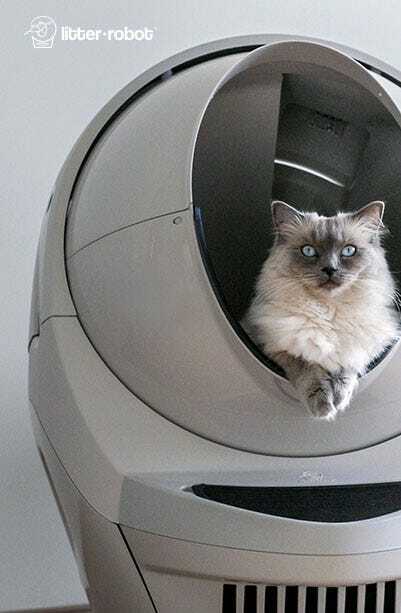 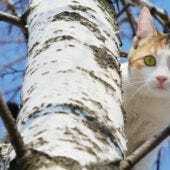 Check out our gift guide for cat lovers!